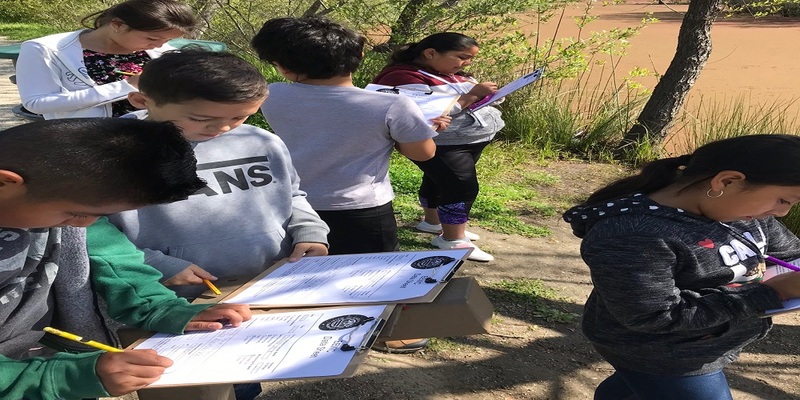 My students had such a great experience on their field trip to the Watsonville Wetlands to do our EarthEcho Water Challenge data collection. The videos on the website really helped me to prepare my students for their day of hands on science, and to better understand the factors that impact all the data we would be collecting. My students were very excited to be the scientists collecting the data, and interpreting what information it gave us about the health of the water in our local wetlands. It was also great for me as a teacher, to be able to provide my students with a hands-on, place-based education experience that helps them understand, appreciate, and protect our waterways, wetlands, and natural environment. In addition to monitoring, my students and I were able to take action to protect water resources, borrowing a set of trash pickers and trash bags from the City of Watsonville Nature Center and carrying out a trash clean up after we did our water monitoring data collection. This year's 5th grade class has come up with the idea of doing native plant propagation, which next year's class will then plant at our local wetlands. We are currently in discussions to develop a plan to implement this project. Thank you to everyone at Earth Echo Water Challenge for donating a testing kit to our class. My students worked together incredibly to agree upon their monitoring tasks, and documenting observations. It was both a fun and meaningful learning experience for all of my students.